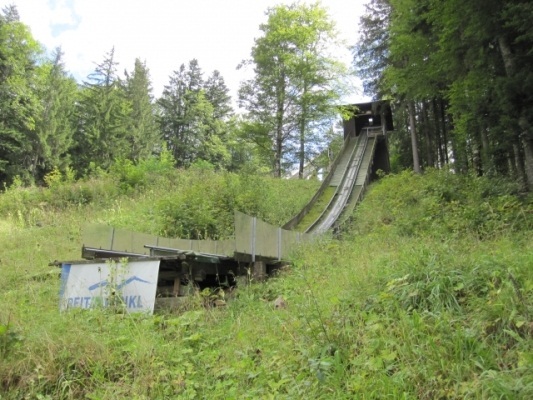 In the year of 1921 the “Wintersportverein Reit im Winkl e.V.” was founded. 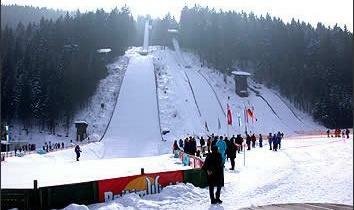 The fascination for ski jumping was gigantic and consequently competitions in cross-country skiing, ski jumping and downhill were introduced. 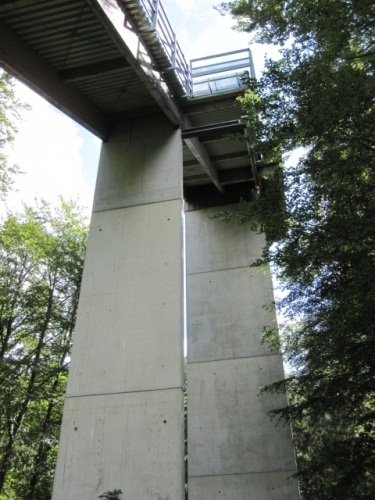 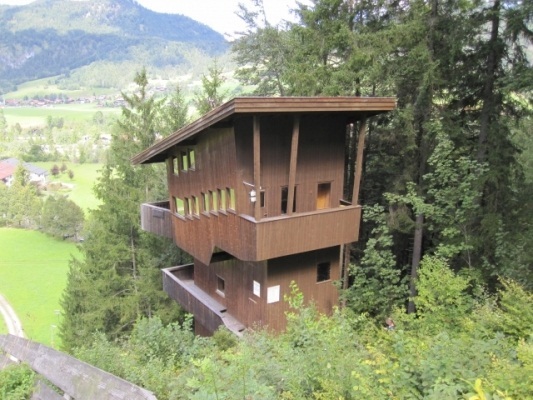 The architect Bruno Biehler jumped 15 m over a dirt hill in 1922, a great distance for the conditions at that time. 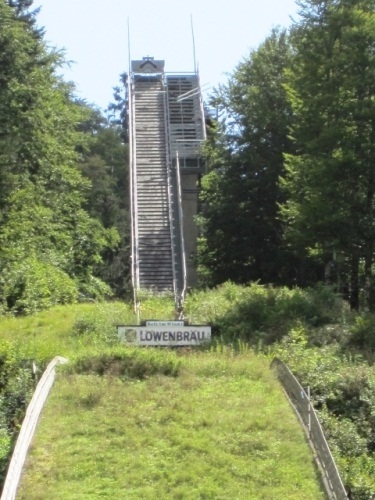 In the years 1923/24 the first Steinbach ski jumping hill, the later Franz-Haslberger-Schanze, was constructed by Biehler. 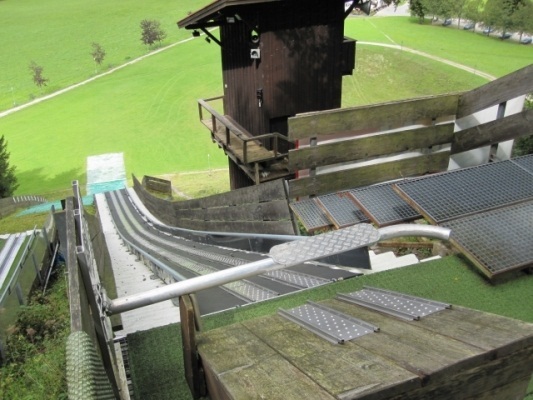 It allowed jumps up to 45 meters. 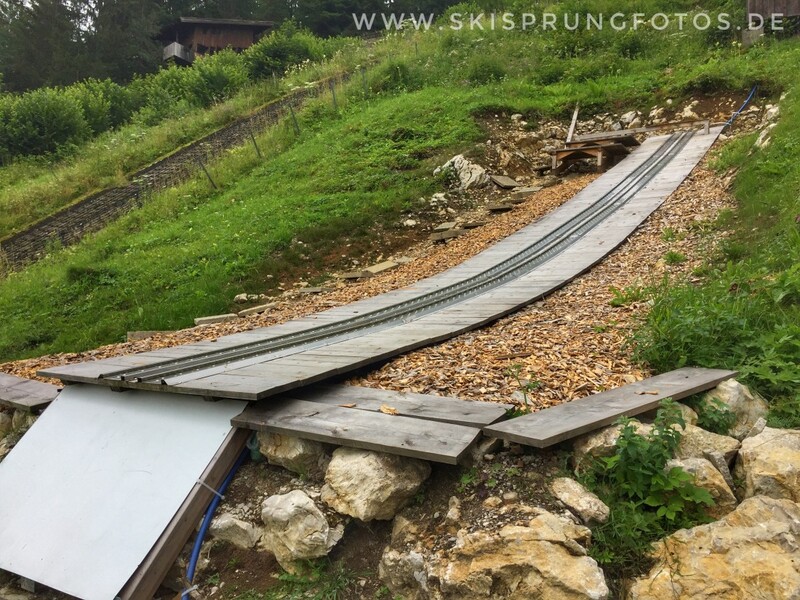 This was the founding stone of ski jumping competitions at Reit im Winkl. 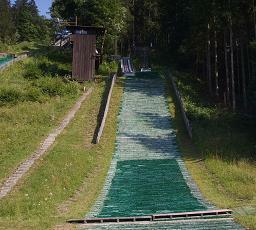 Then the great time of the ski jumper Franz Haslberger followed in 1930's. 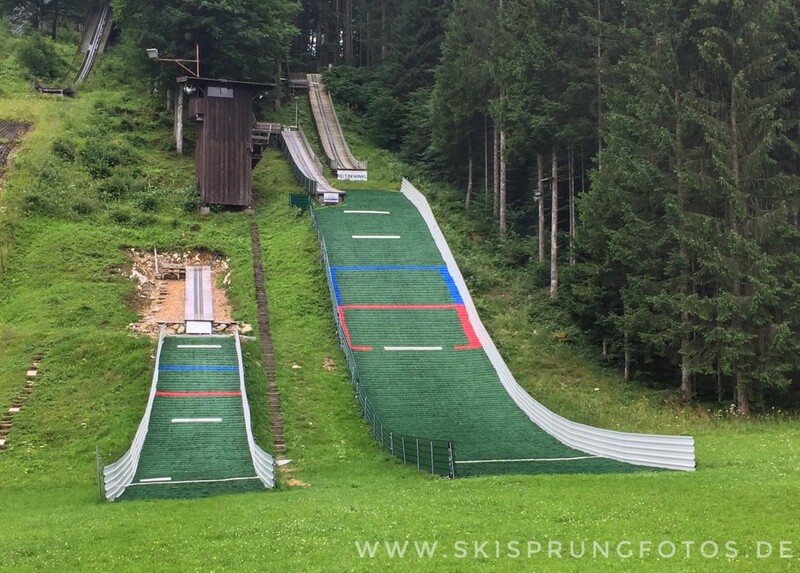 He was member of the German National Team, was participant of the Olympics and was the first guy from Reit im Winkl who became German champion in ski jumping. 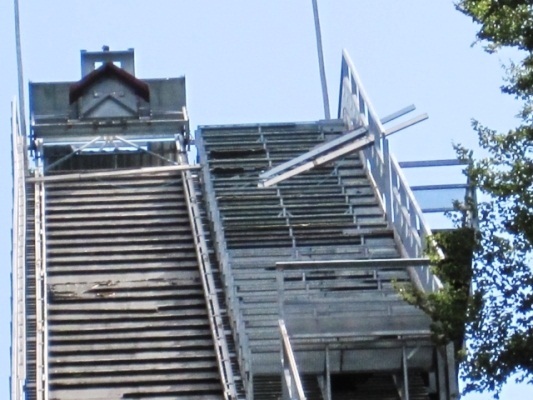 At that time he was the only Central-European to compete with the Scandinavians with his 4th place at Holmenkollen. 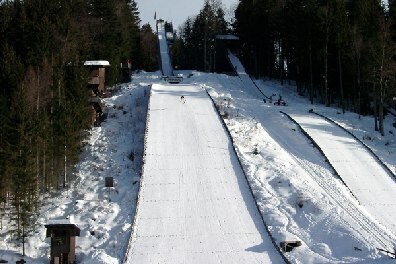 The Steinbach-Schanze was enlarged into a 60 meter hill in 1937 and dedicated to Franz Haslberger in 1939. 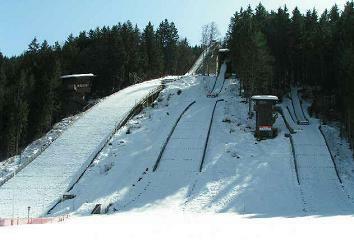 The German championships in nordic skiing were a great challenge and test for Reit im Winkl in 1950. 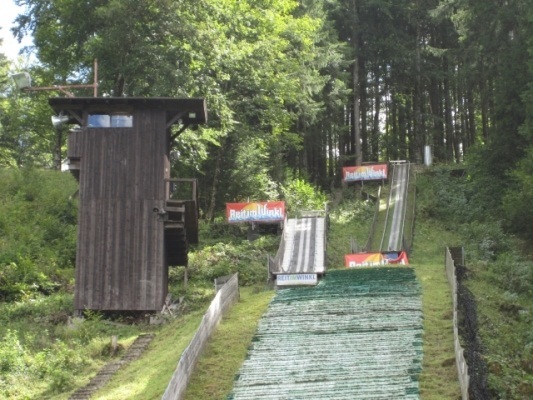 These championships were attended by 17,000 spectators and the press wrote of "wonderful days at Reit im Winkl". 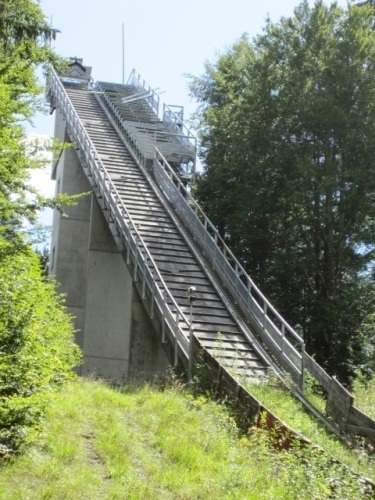 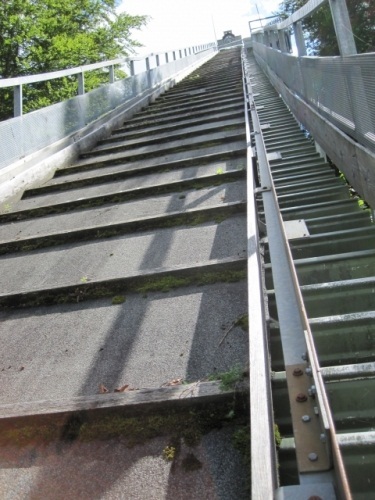 In advance the already 1947 rebuilt K65 ski jump was equipped with a new judges tower and a grand stand made of steel pipes for 3,000 spectators. 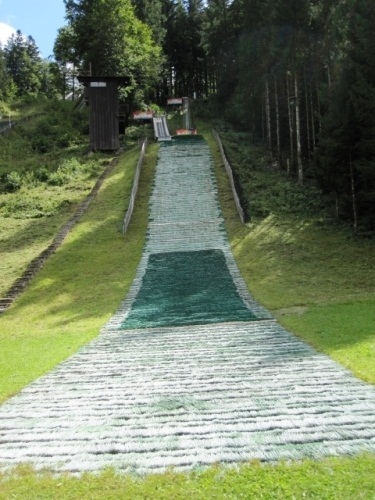 An additional junior hill with floodlights was build up near the public swimming pool in 1951. 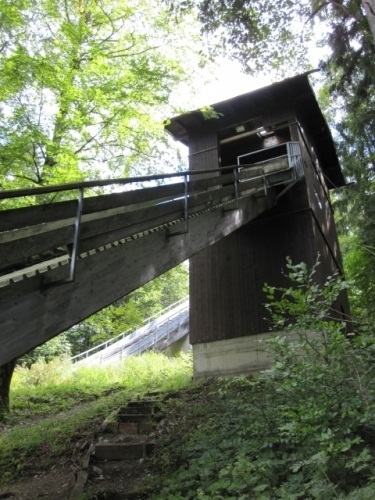 The wooden inrun of Haslbergerschanze was replaced by a steel-construction in 1957. 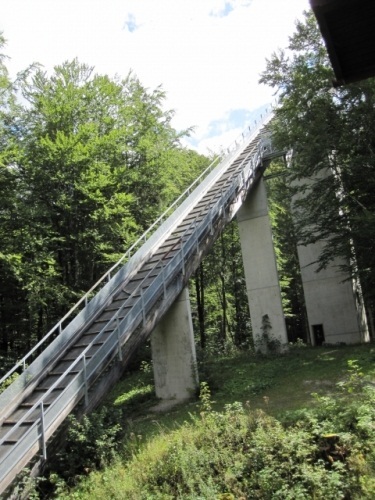 In 1966 the international competition for the "Germany Shield" was organized and for the DM, which was moved from Willingen short-term, the Haslberger-Schanze was enlarged onto K68 for 165.000 DM. 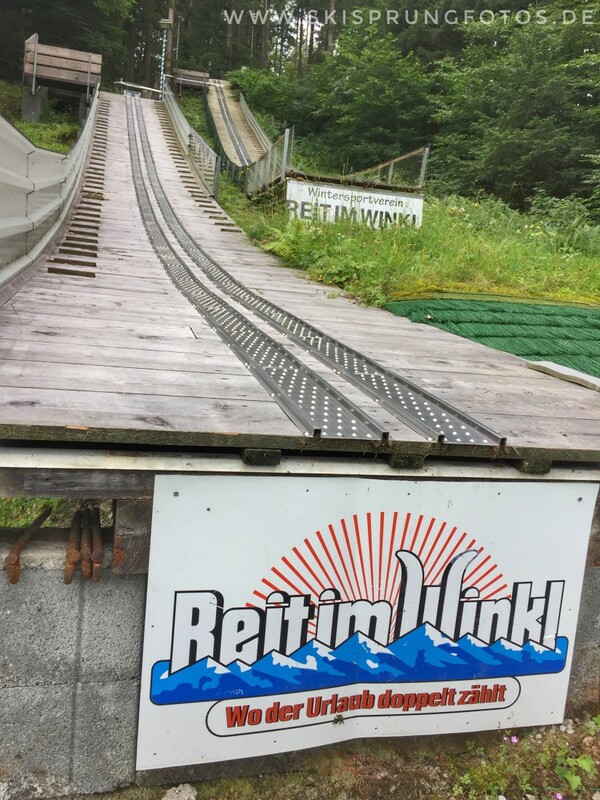 In the following years many international nordic competitions were organized at Reit im Winkl and a short-term DM hosted once again in 1972. 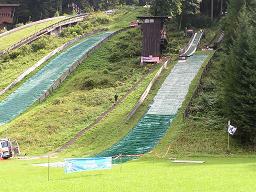 The 1969 built plastic covered hill and the additional junior hill K28, which was added in 1974, were well-frequented. 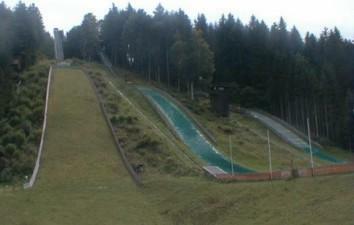 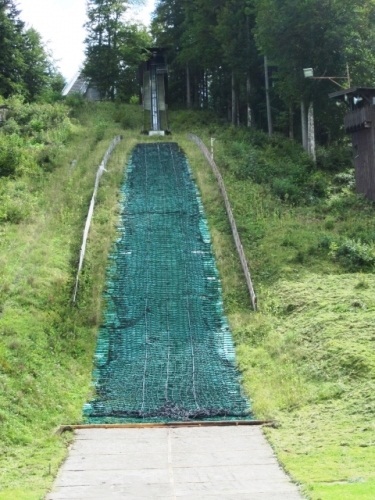 The K57 plastic covered Steinbach-Schanze was constructed in 1982 and inaugurated with an international event. 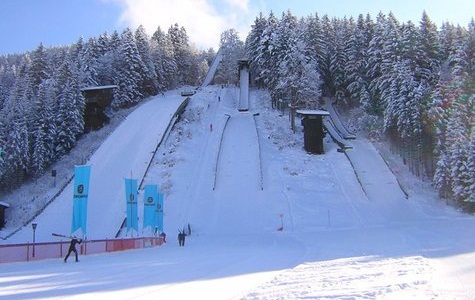 The international Nordic skiing competitions were upgraded to important World Cup events. 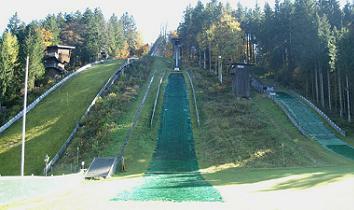 Up till now ther have been more than 40 World Cup competitions of cross-country skiing and Nordic Combination there. 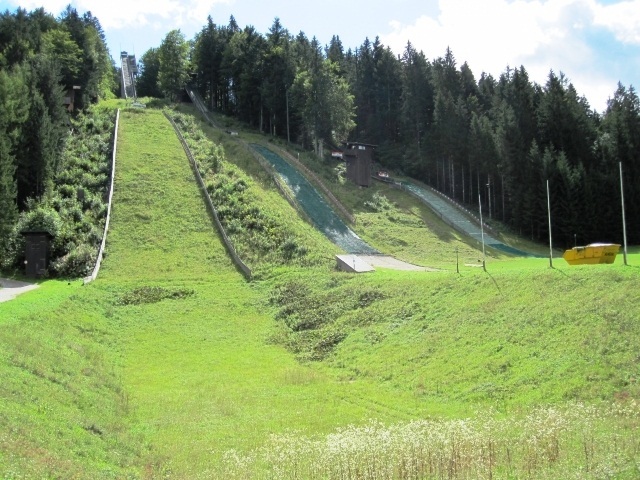 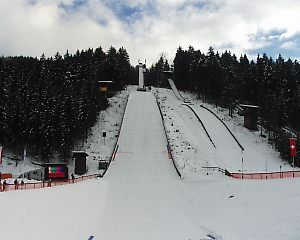 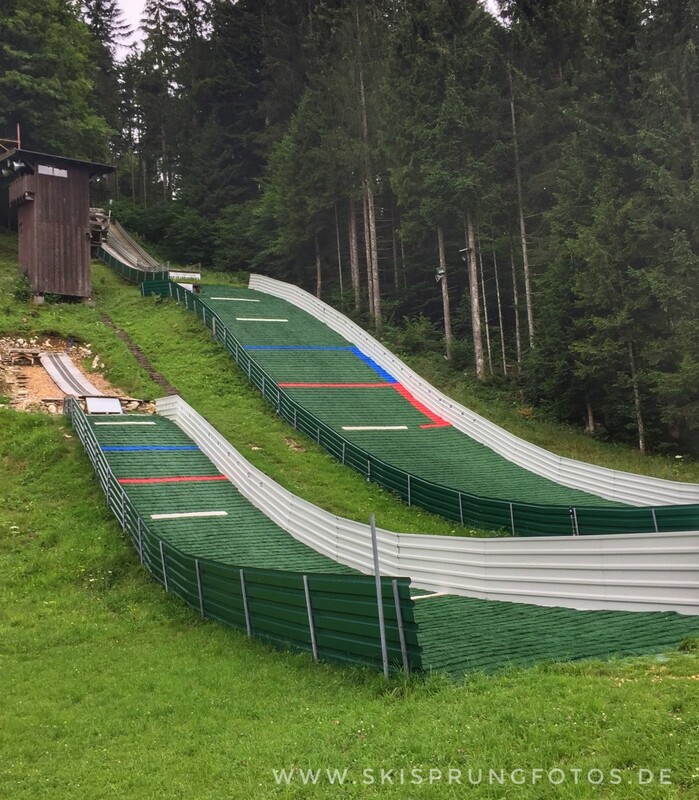 The traditional “Franz Haslberger Schanze” was enlarged into a typical K90 normal size hill and in early March 1991 the “Nordic Juniors World Championships” could be hosted only with great efforts of the supporters, because of a lack of snow. 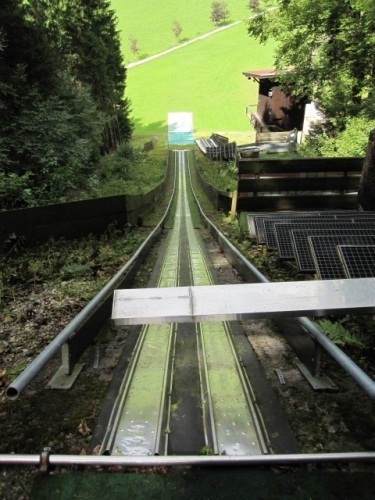 Therefore the not yet completely modernized jump was homologated as an intermediate K86 and only finalized as K90 in 1995. 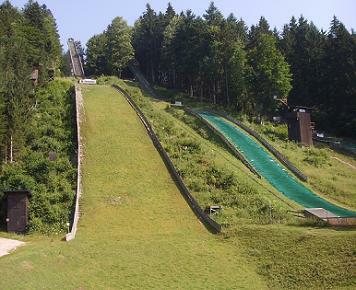 The two smaller plastic covered hills were modernized in 1992. 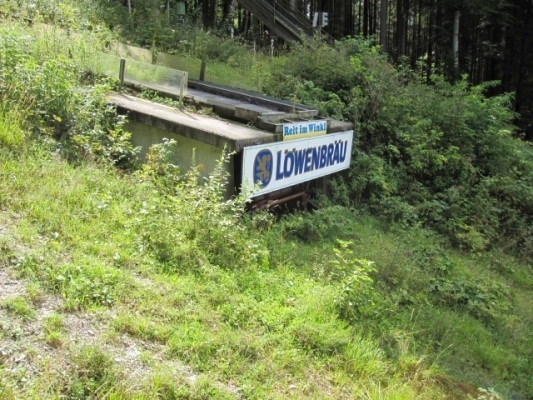 Since 1993 there has also been “Löwenbräu-Cup” as a yearly top address in ski jumping. 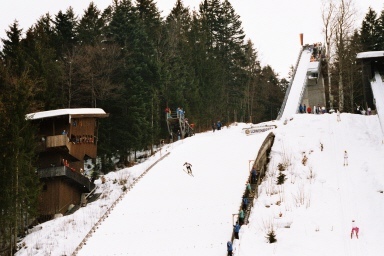 Until 2004 the world’s best Nordic combined came to Reit im Winkl every year for the “Warsteiner Grand Prix of Germany”. 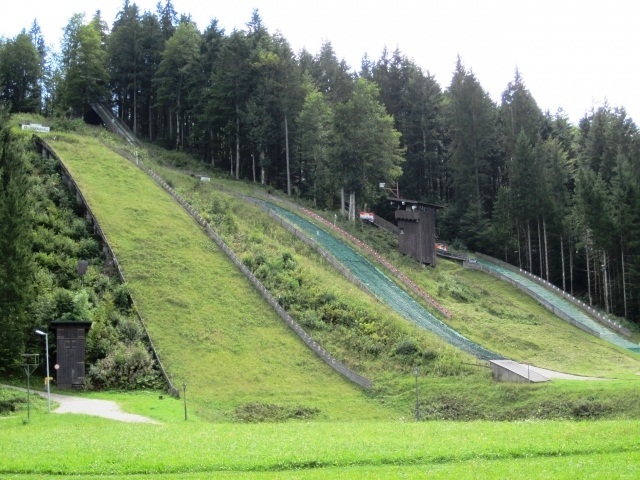 Ski jumper Thomas Klauser from Reit im Winkl only narrowly failed a medal at the Olympics 1988 at Calgary with his fourth place, but he was several times German champion!